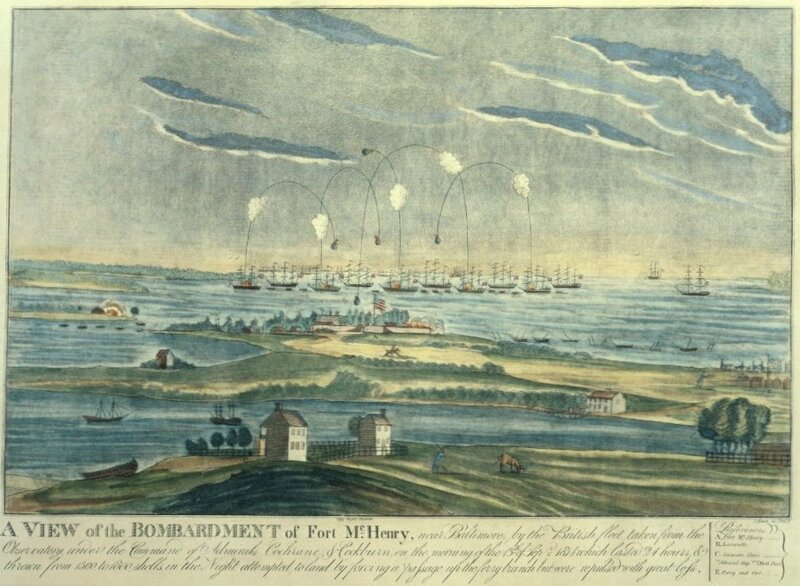 The British attack on Baltimore in mid-September 1814, and the heroic defence of Fort McHenry, is one of the most widely remembered incidents of the War of 1812, since it was to inspire the writing of the American national anthem. It was however preceded by a British amphibious attack on the eastern shore of Upper Chesapeake Bay, directly across from the city, on August 31st. A force of seamen and marines were landed from a British frigate and were soundly beaten in an engagement known as the Battle of Caulk’s Field. At this remove the landing appears to be an unwise one that could have achieved little or nothing as regards the larger operation against the city. 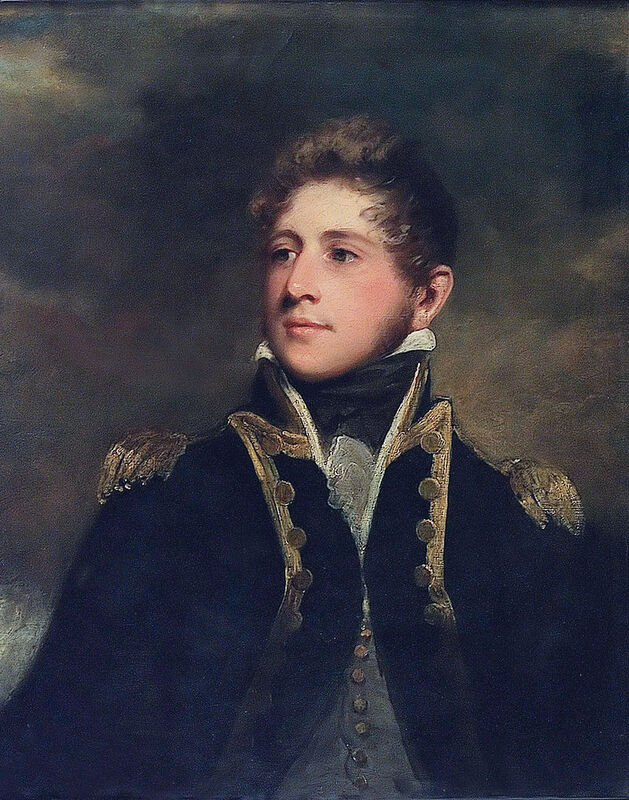 The Caulk’s Field battle did however result in the death of a young Royal Navy captain, Sir Peter Parker (1785-1814), and the manner of his passing was to be widely admired. The account that follows focusses on this, rather than on the battle. 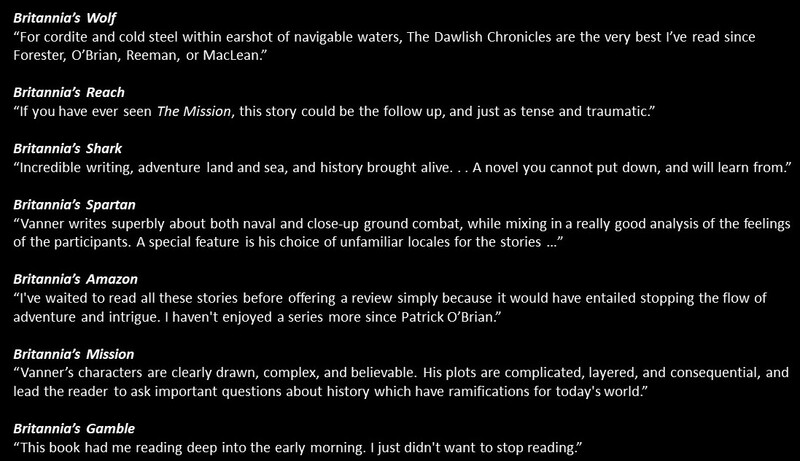 It draws heavily on Edward Giffard’s “Deeds of Naval Daring” (1852)and it casts light not only on the warmth of relations between enlisted seaman and admired officers, but on the discrepancies that arise between accounts from different sources, in this case British and American. Sir Peter Parker was the grandson of Vice Admiral John Byron (1713-1786), known as “Foul Weather Jack” and as such first cousin of Lord Byron. the poet. He had entered the navy in 1798 and by 1805 he was in command of the brig HMS Weazel which was the first British vessel to sight the enemy fleet exiting Cádiz prior to the Battle of Trafalgar. 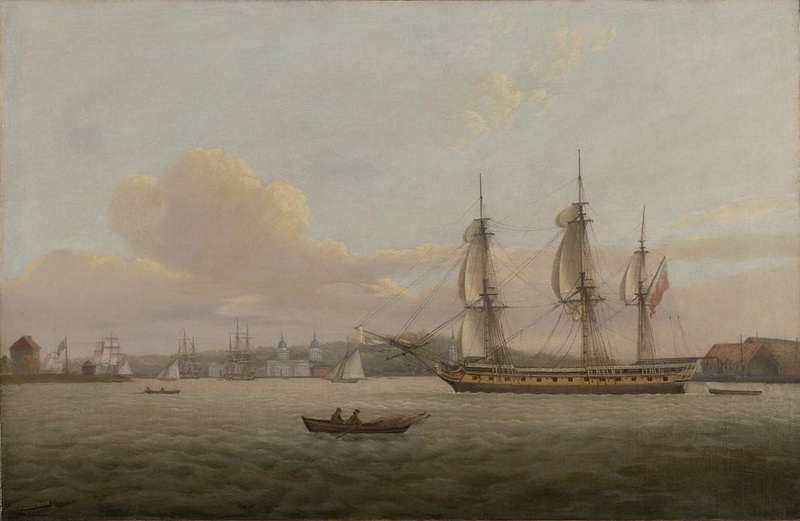 By 1810 he was not only a captain, but had been given command, at the age of 25, of the new frigate HMS Menalaus. 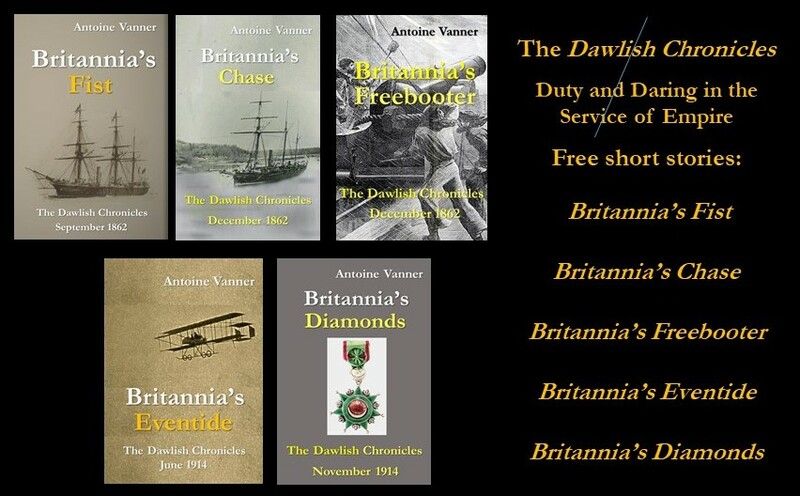 His first duty was to provide assistance in suppression of a mutiny in the frigate HMS Africaine, after which he gave meritorious service in the Mediterranean and Indian Ocean. In 1813, with the “War of 1812” between Britain and the United States in full swing, the Menelaus was transferred to duties off the American eastern seaboard. I am just going on desperate service, and entirely depend upon valour and example for its successful issue. If anything befalls me, I have made a sort of will. My country will be good to you and our adored children. God Almighty bless and protect you all! Adieu, most beloved Marianne, Adieu! 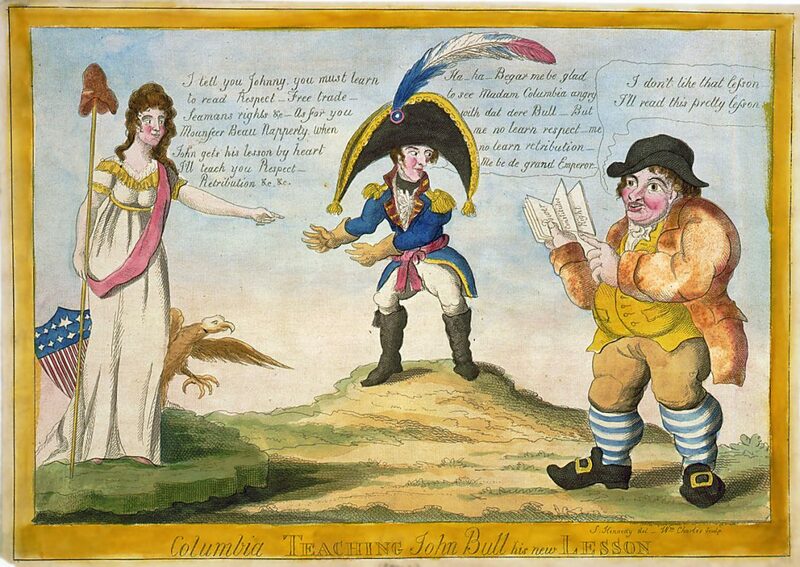 This cartoon conveys something of the American urge to resist the British. 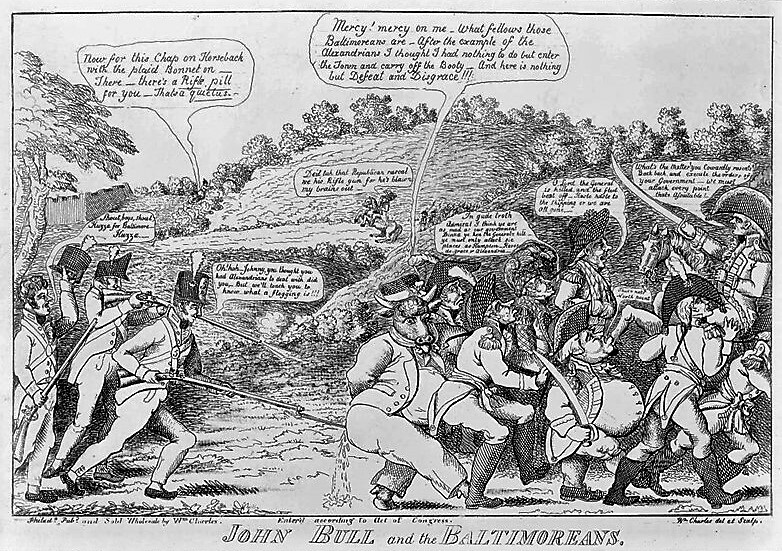 Note that John Bull is shown as a real bull! A newspaper, the Boston Independent Chronicle, gave a different account on September 12, 1814 of Parker’s death. It estimated Parker’s force at between 200 and 300 – clearly too much to be landed from a single frigate. It attributed Parker’s wound to buckshot that hit him on the head as well as in the leg. (A son of a militiaman participant claimed later that his father had struck Parker down with by a ”blunder-buss loaded to the muzzle with all the hardware, bolts, nuts, nails, etc”). The newspaper reported five British dead, besides Parker, as well as five wounded, two of whom were to die. There appears to have been no American deaths and only three wounded. 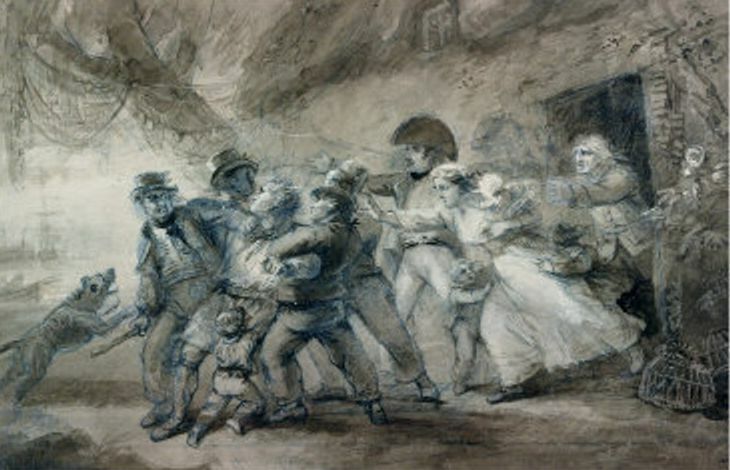 “The Press Gang” by Luke Clennell (1781 – 1840) – an institution often inaccurately understood. Regardless of how recruited, seamen’s loyalty to admired officers was always high. Parker’s body was sent home and was subsequently interred at the family vault at St Margaret’s, Westminster (the separate church adjoining Westminster Abbey), and the eulogy was delivered by his first cousin, Lord Byron. One wonders what would not subsequently have lain in the future for this dashing young frigate captain who was struck down at Caulk’s Field at the age of twenty-nine. I am perplexed as to why you only mention his vice-admiral maternal grandfather,and not the namesake admiral of the fleet paternal grandfather from whom he inherited his title?